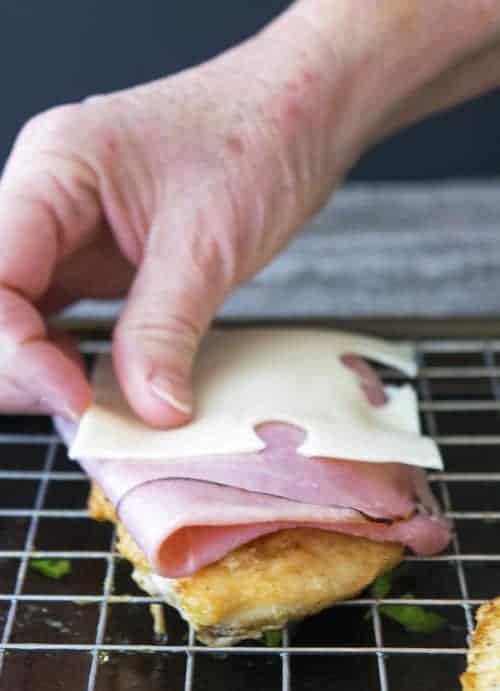 Pan Fried Chicken Cutlets with Cutlet Sandwiches and Easier Chicken Cordon Bleu! 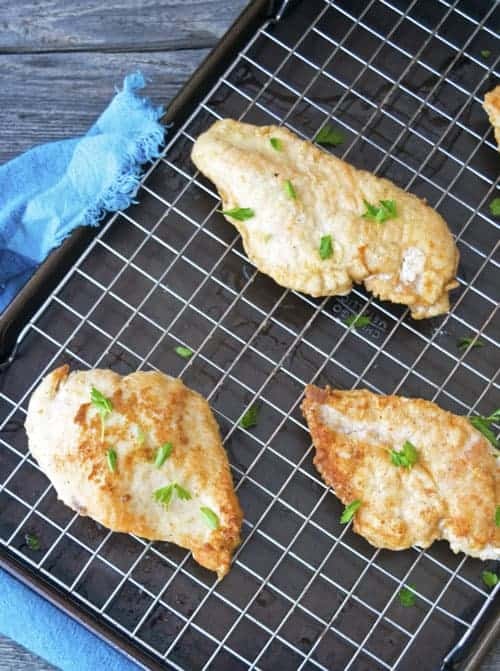 Pan Fried Chicken Cutlets must become a staple recipe in your kitchen. There are soooo many other recipes that stem from this single basic one. I’m thinking an easy chicken Parmesan, chicken Marsala, chicken Piccata. They all start with a fried chicken cutlet, and just have different sauces on them! 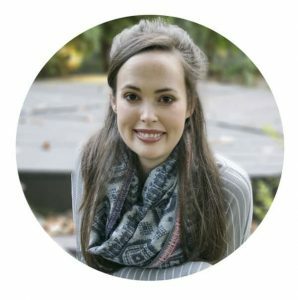 Don’t be intimidated by the process! I will walk you through it! Start by cutting some chicken in half length wise. 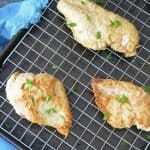 Why do you need to pound the chicken breasts you ask? It makes for a faster cooking time. The meat will be even thickness which mean an even fry. Pounding actually tenderizes the meat. So you better not skip this step! Next make a “dredge”. Dredging is a cooking technique to coat wet or moist foods with a dry ingredient (Thanks Wikipedia!). I use flour, garlic powder, salt and pepper. Pretty simple flavors! 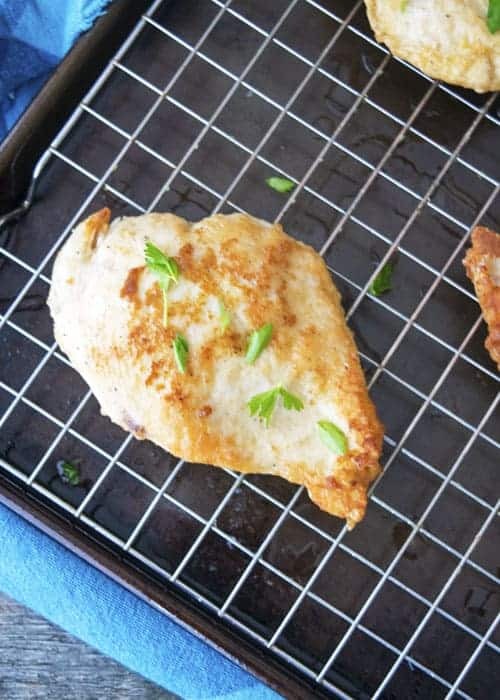 Take the chicken and cover it with the flour mixture, then fry it in about 1/4″ of olive oil in a skillet. Cook each side for around 4 minutes! Then dress these babies however you like! Yummy! Serve these cutlets with some Roasted Vegetables or Zesty Oven Fries! Save this recipe for later by Pinning It! 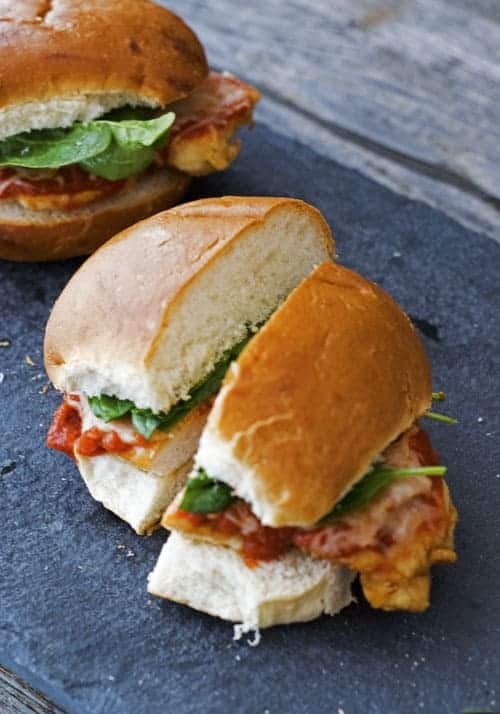 Chicken Cutlets are such a versatile recipe. 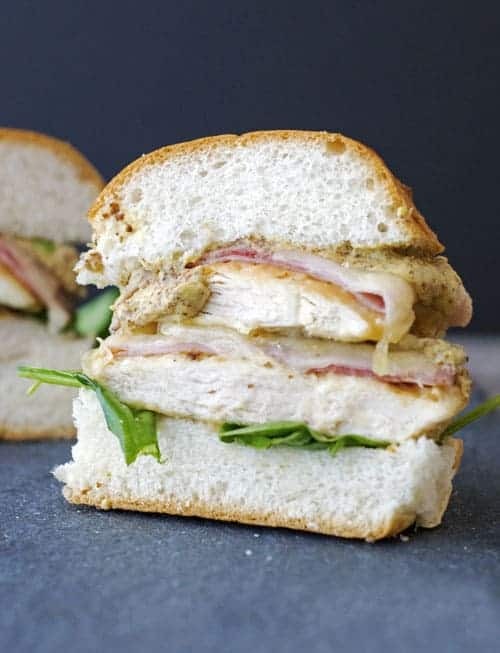 Make them for a fast dinner recipe or for a sandwich. 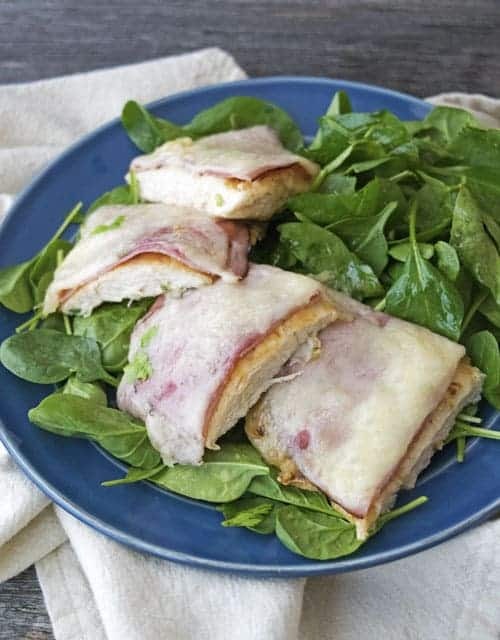 I love this quick and easy recipe! 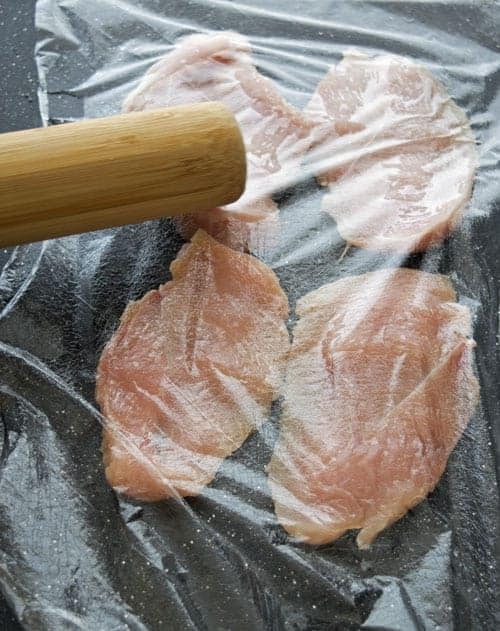 Cut each chicken breast lengthwise. Cover them with plastic wrap (or use a large plastic bag), and pound each of them down using a rolling pin until they are about 1/2″ thick. 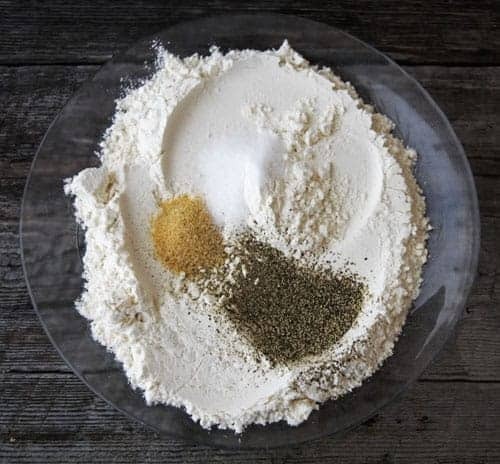 On a dinner plat mix together the flour, garlic powder, salt and pepper. Heat up 1/2 cup of olive oil in a large skillet set to medium high. To make sure the oil is hot enough throw a pinch of the flour mixture into the hot oil. If it sizzles it is ready to go! 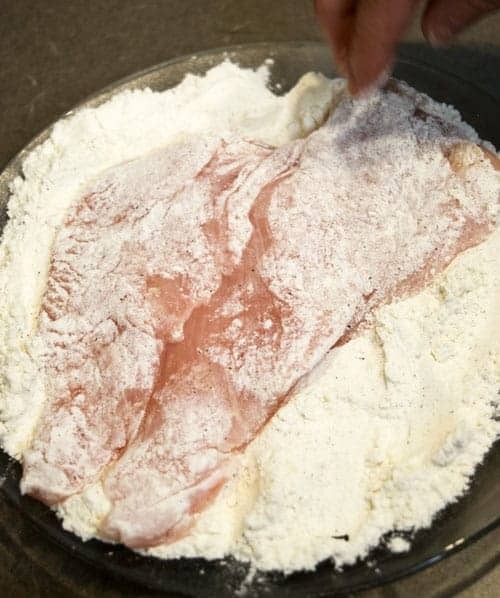 Dredge two chicken cutlets into the flour mixture, and make sure the flour is covering the chicken on both sides. Place two chicken cutlets into the hot oil at a time (If you have room you can do 3, but do not crowd the pan). 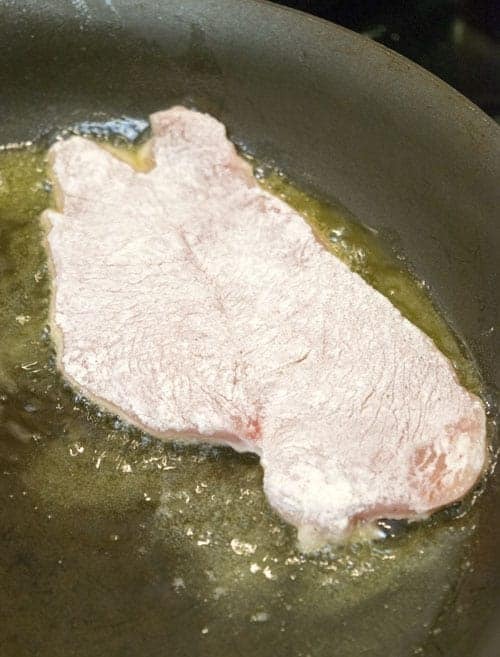 Cook for 4 minutes, then flip the cutlet and cook another four minutes. Continue this dredging and frying process for the remaining chicken cutlets. 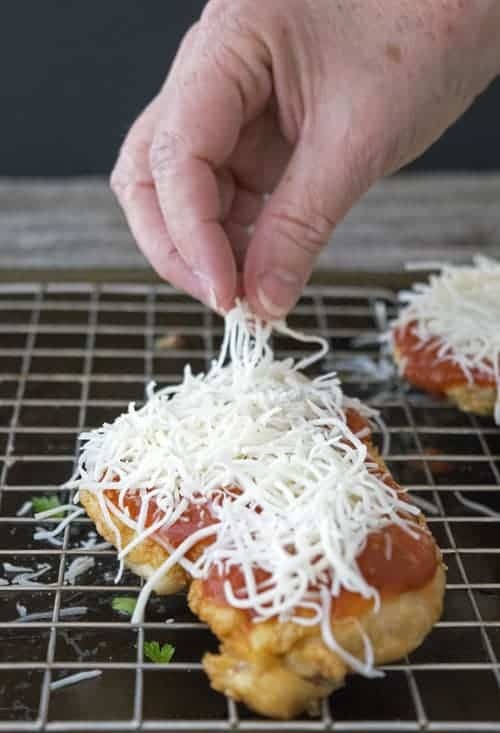 *This recipe makes 6 chicken cutlets, but if you are cooking for a group I would make enough for each person to have two cutlet because they are so thin. Excellent, quick & easy. About as fool proof as you can get. Today with chicken cream gravy, next time marinara sauce & mozzarella. After that the sky is the limit. One breast for each of us was plenty. The pounding first really tops it off for tenderness. Thank you.